If you are a professional (but not only!) you can only be impressed by our exclusive piano suite for ballet class. 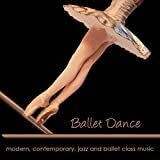 Dance at the barre with this emotional, graceful and lovely playlist.